Happy weekend, guys!! I am super excited to share some new Friday Finds with you! It's a bit of a mix, as we all seem to be anticipating Halloween, Thanksgiving, and Christmas all at once now. Though I'm trying my hardest to live in the moment with pumpkins and autumn decor. I know after Halloween, everyone will be all about Christmas, but we should slow down and enjoy the harvest decor up to Thanksgiving, don't you think? As always, there are a few printables in the mix for last-minute decor, as well as some products for my fellow wine lovers, and some more awesome discounts that were created just for you Friday Finds readers!! 🙂🍂 So you know the drill, grab a cup of coffee and sit down for a break, so you can relax and browse these amazing shops. First let's kick things off with this week's featured candle. I just have to feature a candle each week. It's the perfect season to cozy up with a good book and flickering candle light. A scented candle is also the perfect hostess gift for all of the holiday celebrations coming up. 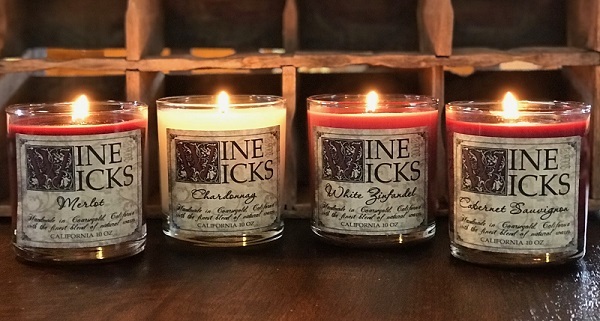 If you know someone who likes candles and loves wine, there you go! The PERFECT holiday gift! 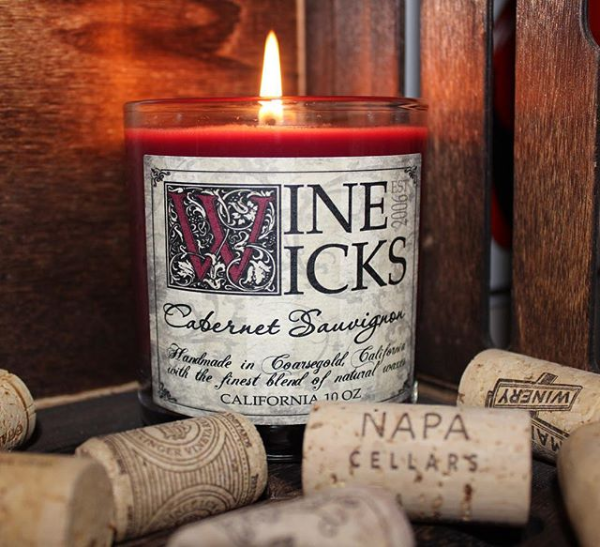 This week, I'm very excited to share Wine Wicks with you, if you haven't already heard of this brand. I'm guessing we'll all start to hear more about this brand in the future. The owner of Wine Wicks landed a deal with Zulily for a branding feature, just recently landed a contract with hayneedle.com, and was asked by MSNBC to do an elevator pitch to Sam’s Club! If you guys follow along on Instagram, you know how much my husband and I love wine!! We both love wine-scented candles anytime we come across them in a store. 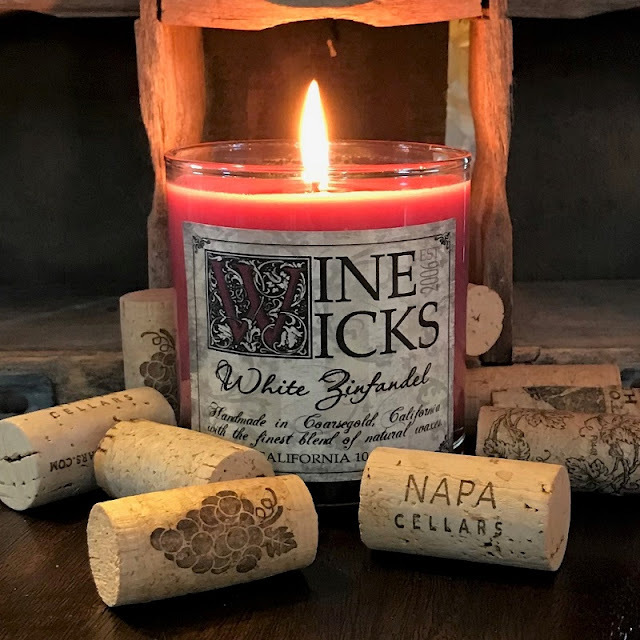 The wine-scented candles at Wine Wicks come in several different scents; including Cabernet, Chardonnay, Merlot, and White Zinfandel. I'd go straight for the Cabernet! Which one do you want the most? And as I said before, I'm still very much in the mood for harvest decor. I love to put up Christmas decor AFTER Thanksgiving. I want to enjoy the fall leaves and festive pumpkins as long as I can. 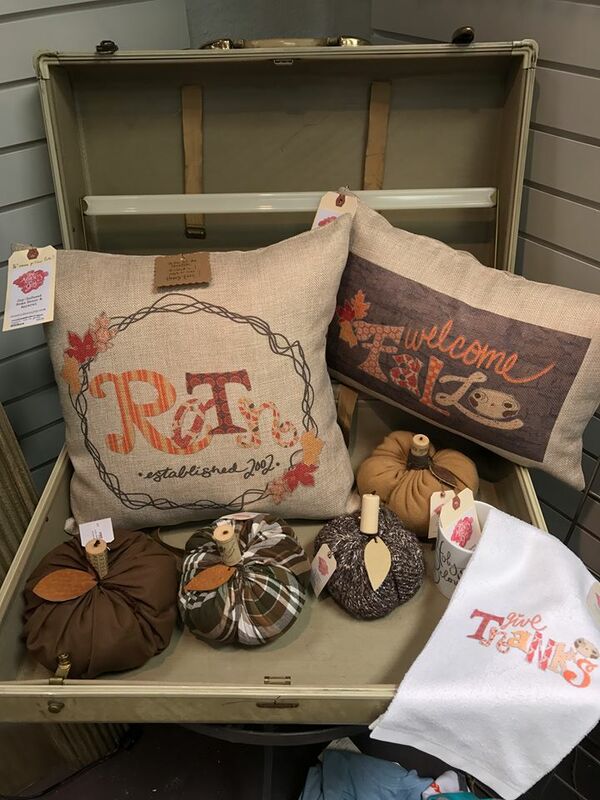 These festive fall pillows, including the Custom-Design Last Name Fall Pillow by She Abides in Joy are such an easy way to add an autumn touch to your living room. At She Abides in Joy, you'll find so many other beautiful home accessories, like prints and kitchen towels. One of my favorite items in the shop is a "gather" banner. I am loving those kinds of banners for seasonal decor, aren't you? It's such a cute way to add holiday decor to any space. If you're on a budget, or decorating at the last minute, a banner is the best way to create a focal area with big impact. If you have a great banner, all you need are a few other accessories to pull a whole look together. Check out all of the the great seasonal items currently in the shop! For last-minute Halloween decor, I highly suggest a printable. 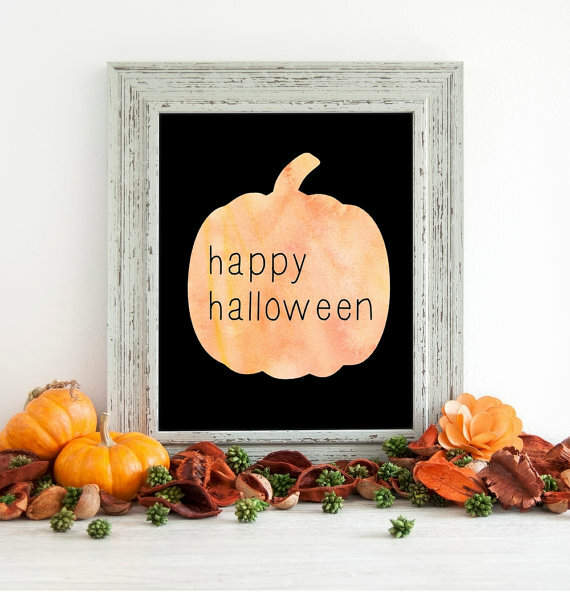 There are so many to choose from nowadays, but this Happy Halloween Printable Wall Art by Think Lovely Shop really grabbed my attention. The black background makes the pumpkin really pop. You don't even have to go though the trouble of hanging one of these Halloween printables. Simply lean a frame again the wall on an entryway table, kitchen counter, or mantle; and add a few little accessories or mini pumpkins for a festive vignette. At Think Lovely Shop, you can get fun and pretty prints for year-round or seasonal art, including Thanksgiving printables, so be sure to check out the full shop. And believe me, now is the time to buy! Just for Friday Finds, Think Lovely has created a coupon code for 30% off any order. Use KCL30OFF at checkout anytime between today and November 3rd! And here is a fall gift to go with the wine candle! 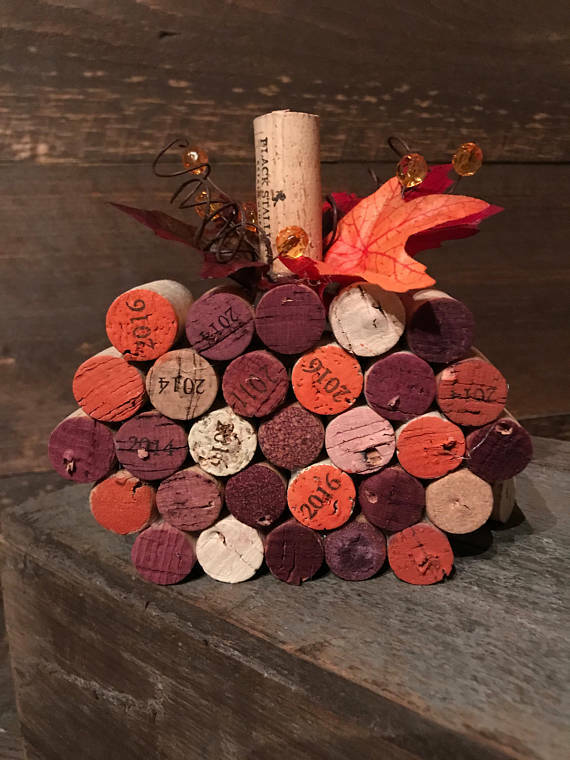 This wine cork pumpkin in a gift basket with a wine candle would be such a great Autumn gift, right? Though I'm sure you want these Wine Cork Pumpkins by Linden Lane Co. all to yourself, because they're so cute! They're so cute, and just like the other items above, it's such a quick and easy way to create a seasonal vignette. Display them on a mantle or on a bar cart. I happen to have a few of my own on my kitchen counter near our wine cork basket, where we usually keep a bottle of wine. Check out Linden Lane Co. for a few more autumn accessories. Her Mason Jar Yarn Pumpkins are perfect for a Thanksgiving centerpiece, and they come in several different colors, so you'll want to browse those in the shop. All of the wine cork and mason jar lid pumpkins currently have FREE shipping! This next one is so genius for Halloween. Don't get me wrong, I love to carve pumpkins, but honestly it's been a few years since I've gone to the trouble. But I always do decorate a few pumpkins in some way, and this Pumpkin Decal by Practical Elements is perfect! There are so many great no-carve ideas out there, and I do like to paint pumpkins occasionally. But if you want a no-mess, easy and fun way to decorate you Halloween pumpkins, a decal is the way to go! Even if you are carving but have young children, it makes things a lot easier to have a DIY no-carve way for the younger ones to decorate a pumpkin while you focus on the carving. That is how I used to do it when my girls were younger. 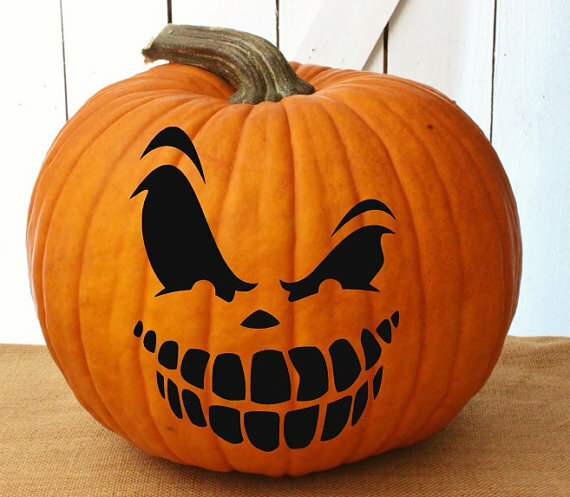 You can also get a digital download of pumpkin stencils at Practical Elements for the ones you may want to carve. One of my favorite ways to decorate inside for a Halloween party is with the treats! 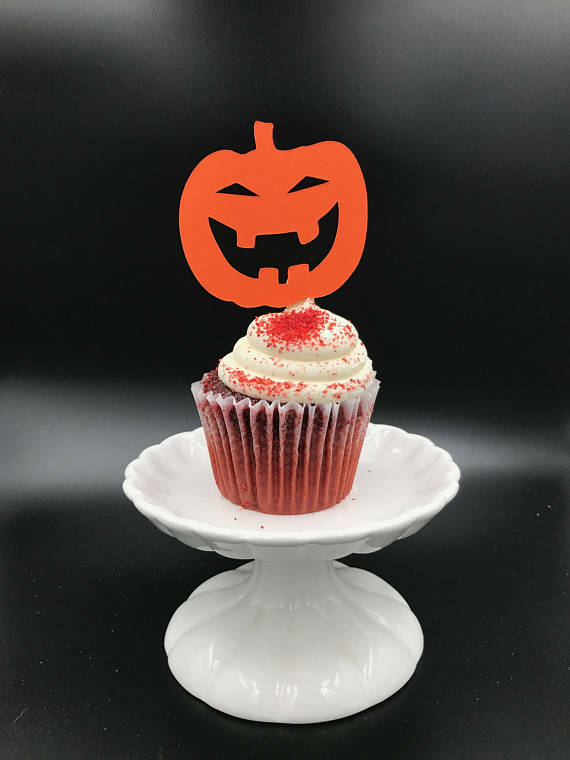 If you don't have a lot of time to decorate or make fancy holiday foods, some simple bakery cupcakes can get an instant spooky update with these Halloween Cupcake Toppers by October Moon Paper Co.! The look and quality is really so much better than something you'd find at your local store. You can get several different party supplies at October Moon Paper Co., including some really cool cake toppers. If you want a picture perfect event with a dessert buffet, some cupcake toppers and a cute cake topper are just the thing! Check out this fun shop for party supplies, but I also noticed that the owner has added some really cute mini wood slice Christmas Ornaments too, so browse those as well! Well there you have it! I really am amazed each week with these finds. These shops are so talented and unique. Grab another cup of coffee and enjoy browsing all the links below. And as always, I hope you guys have a great weekend! That's the first I've heard of wine wicks.